I discovered the mega-talented OniChild through my old friend CrazyFreak. A few years ago she had dabled with the idea of taking the old Zelda cartoon and remaking it - the project was abandoned but OniChild persauded Crazyfreak to collaborate together - therefore ZeldAnime was born! I was so happy to see this idea come to life thanks to OniChild and Crazyfreak's combined talents - I have to say I think its my favourite Zelda fan project ever! As well as ZeldAnime OniChild produces other fabulous artwork - I adore his crisp lineart pieces, one of my faves being "Original Link". He also does amazing fantasy paintings which you can see on his DeviantArt account. I started like how most people this generation started--Ocarina of Time. After that, I went backwards to classic, very first LOZ, Zelda II, and SNES Zelda. Then Majora came along and I followed the consoles from there (never had a Gameboy--shocking, I know--so, I never followed those games). Wind Waker or Majora's Mask -- I say Wind Waker because it has the most depth and personality -- same goes for Majora's Mask. It's definitely vivid and quirky, which makes the game interesting. Plus, the constant feeling of hopelessness is just too captivating to not get enthralled by the game. Even though I watched animes and cartoons, Legend of Zelda was was a near-perfect match to my taste in the fantasy genre. So, I started drawing art from the game. Before Zelda, my drawing style was very western -- based off of Blizzard's WarCraft. Zelda was my transitition into Anime. It just went from there. Link. 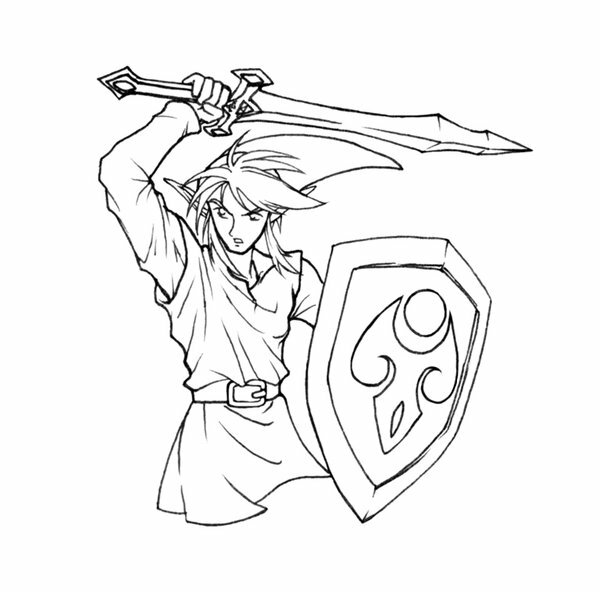 Even though I should expand as much as I can, most of my "heroes" all look like Link or I try to make look like Link. It's just engrained in my brain that he is the ideal hero-character. Hrm...That's a tough one. I can't really answer that. For an original character of mine, a girl named Luna is my favorite to draw (even though I've only drawn her three times? I should do more). As to write about...well, I don't want to give that one away. However, Zeldanime has been very fun to write! 7. Are there any writers/artists that you admire? Looooooooooong time ago. It was either Yahoo or Google. Probably Google. Share with the Zelda community! Zeldanime, Zeldanime, Zeldanime. And some personal works, too, if I have the time!